This mask is constructed to provide a tighter seal with paediatric faces, ensuring it can work as effectively as possible. As there's distance between yourself and the patient, this allows you to visualise the chest's rise and fall for better CPR. The mask also comes in a soft case with a belt strap and clip so you're ready whenever emergency paediatric care is needed. The Pocket Mask has been designed to address the different anatomical needs of your paediatric patients while also helping your treatment remain effective. 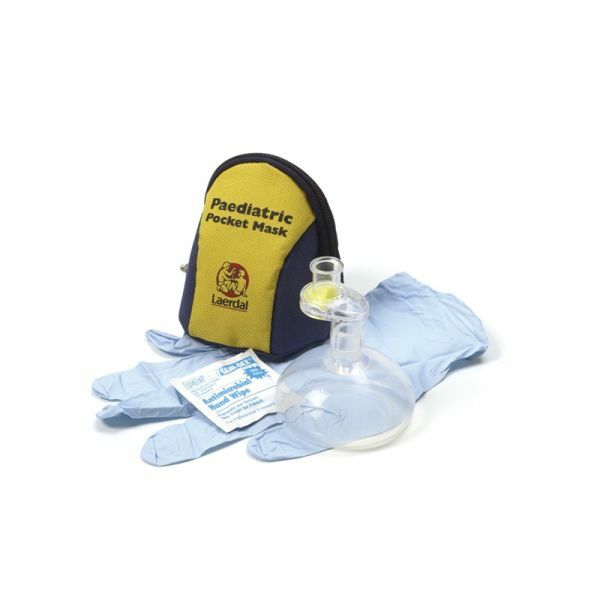 The Paediatric Pocket Mask with Gloves and Wipe utilises the same low-resistance, one-way valve as the traditional Laerdal Pocket Mask in combination with a transparent soft silicone mask. Please note that the included Soft Pack might look slightly different than the pictured pack. 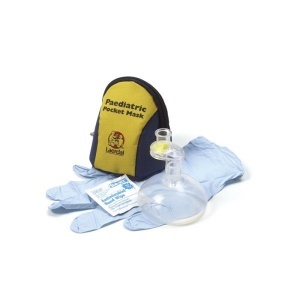 The Laerdal Paediatric Pocket Mask with Gloves, Wipe and Blue/Yellow Soft Pack will be subject to a delivery time of 3 - 4 working days after the point of order. For more information, contact our Customer Care Team at 020 7501 0593.